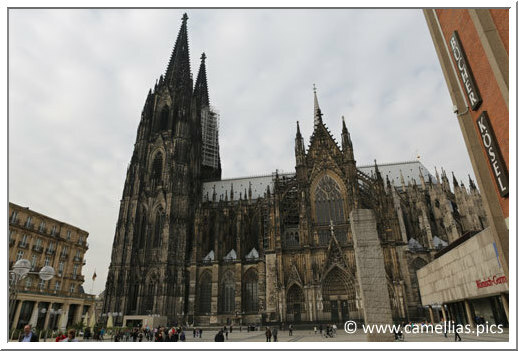 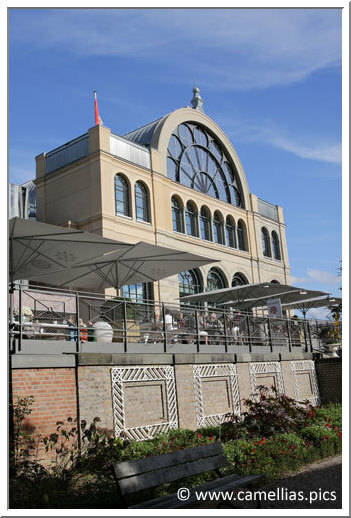 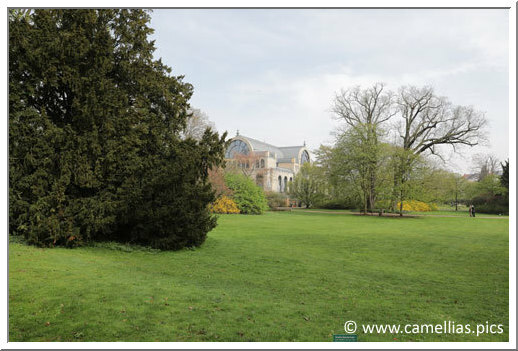 I went to Köln to visit the Botanischer Garten. 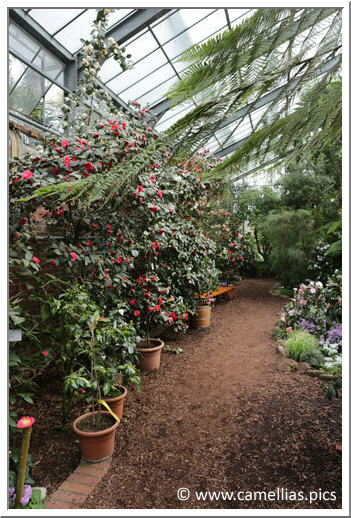 It is a very rich garden (10 000 different plants are grown in the open air or under glasshouse) that can be visited all year. 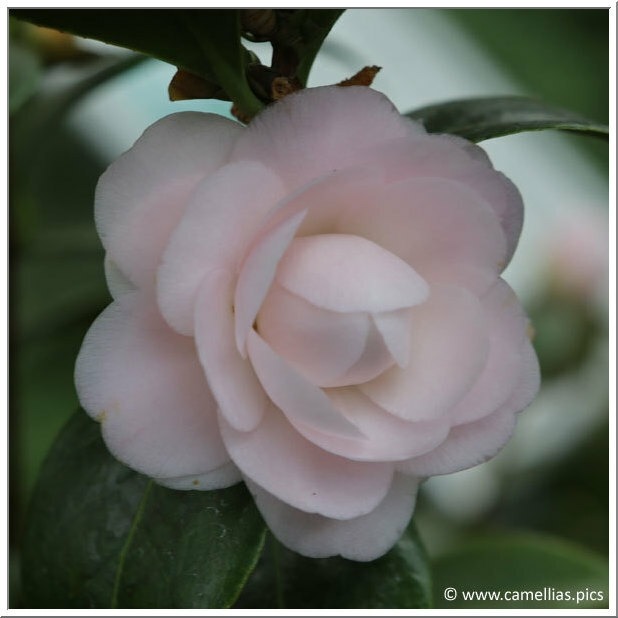 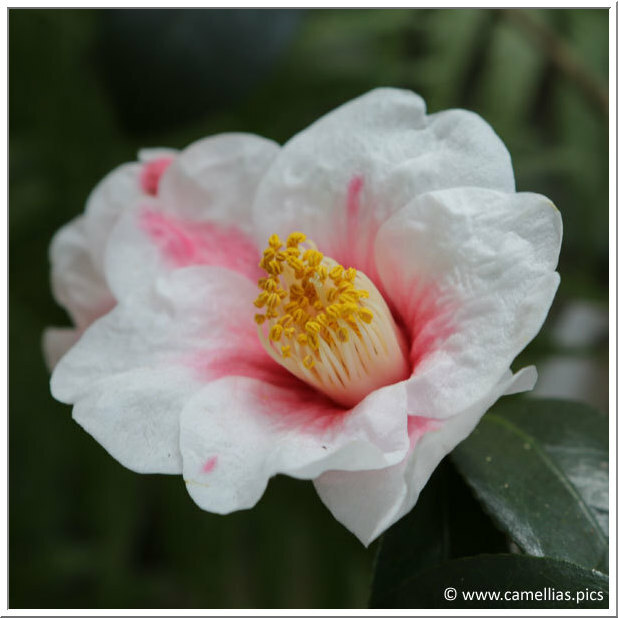 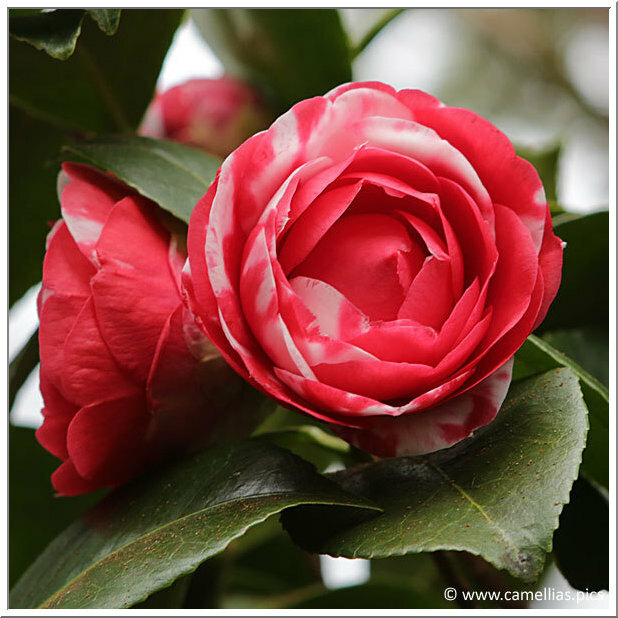 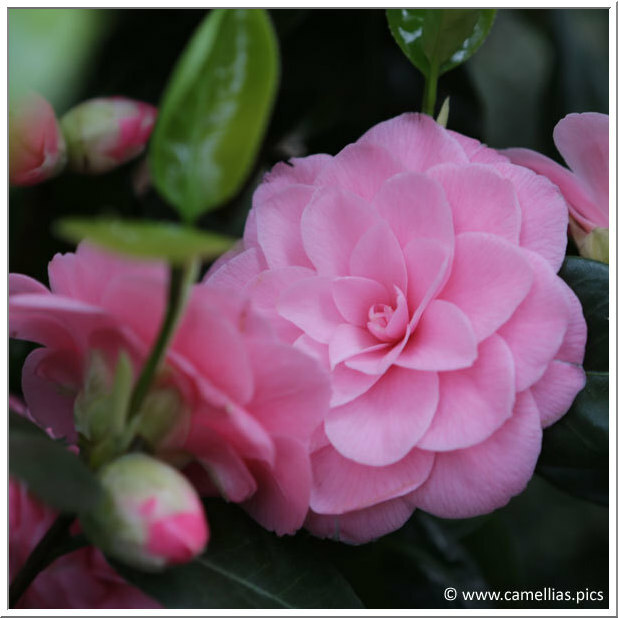 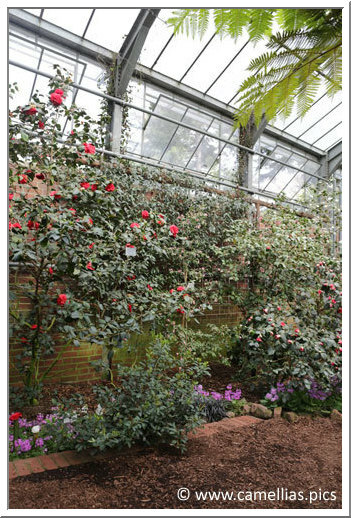 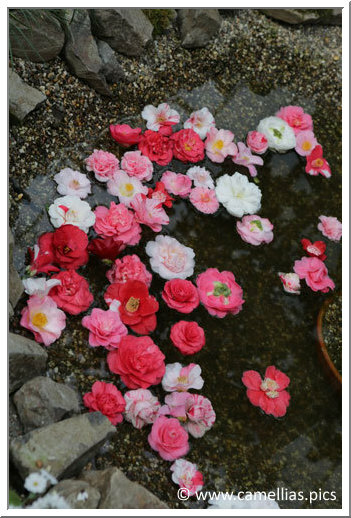 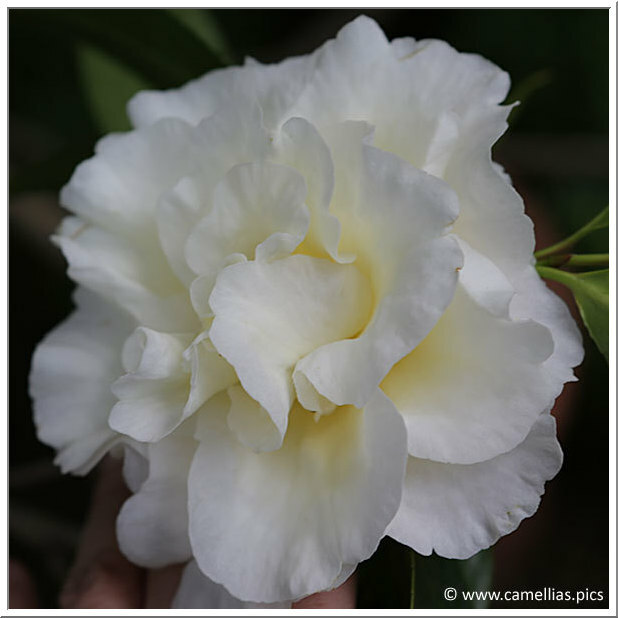 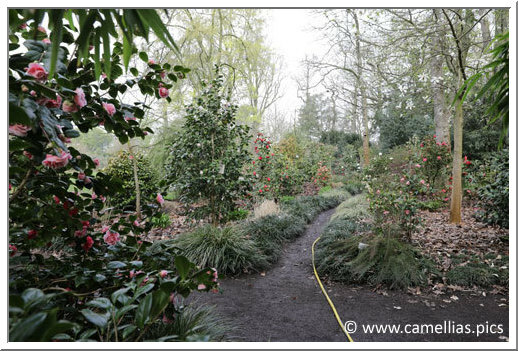 There is a very interesting collection of camellias, some of which is presented every year since 2001 in a greenhouse, from January 15 to April 15. 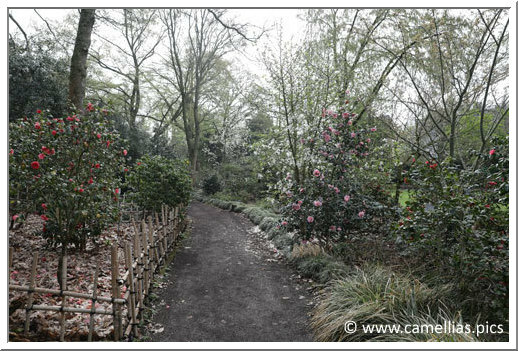 Access is easy by metro from Central Station. 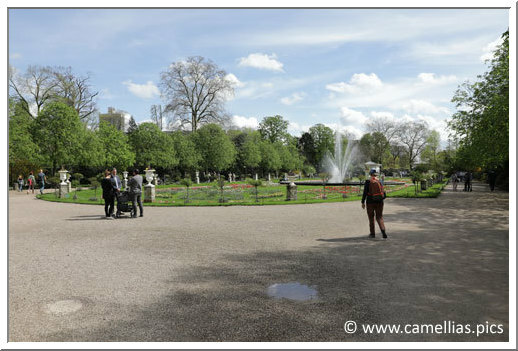 The park and the exhibition are free. 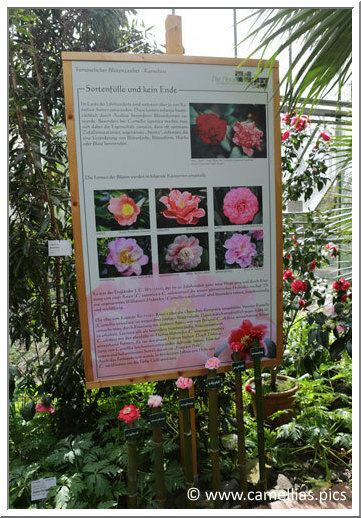 The Botanischer Garten is organizing this exhibition with its own camellias in pots and some graciously loaned for the occasion. 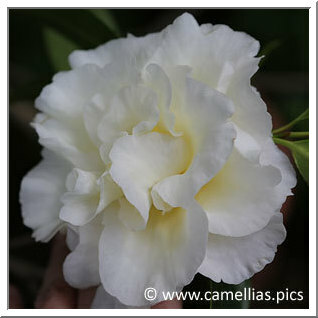 To this are added camellias found in the garden. 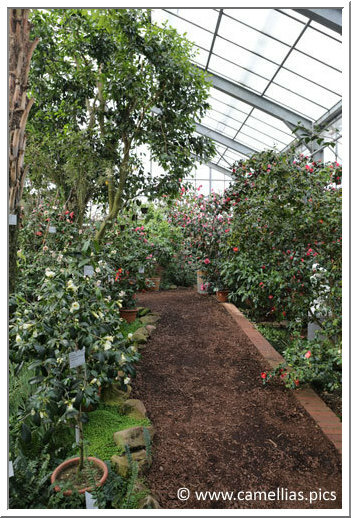 The collection is very rich, 750 different species and cultivars. 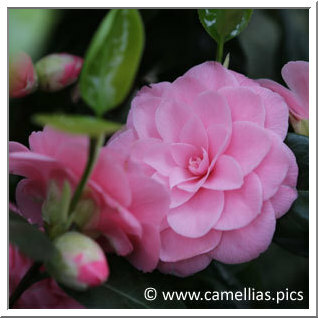 There are botanical, and Sasanqua, Reticulata, hybrids and old species of Japonica. 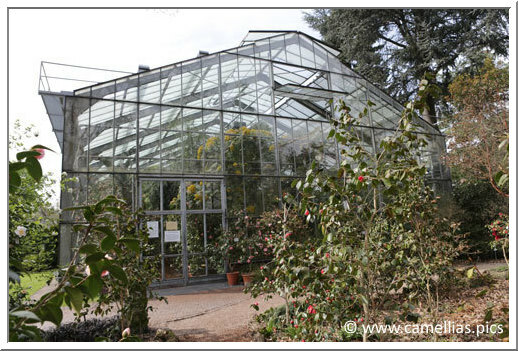 The Botanischer Garten also has its own seedlings, found outdoors or in the greenhouse. 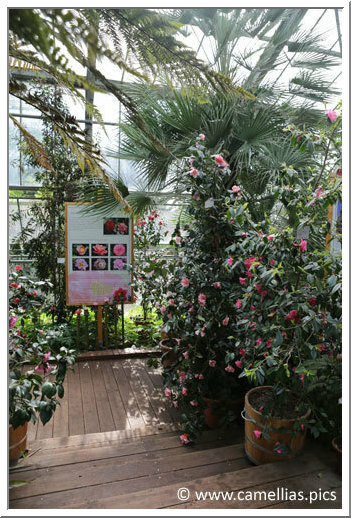 The growing type is suitable for cold hardiness. 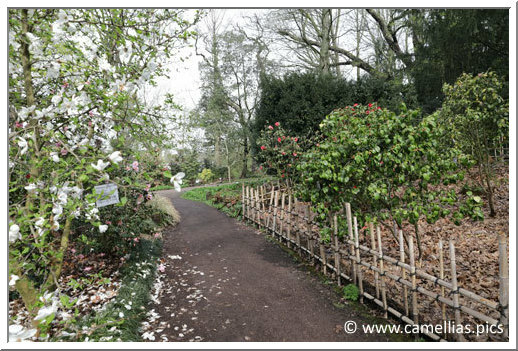 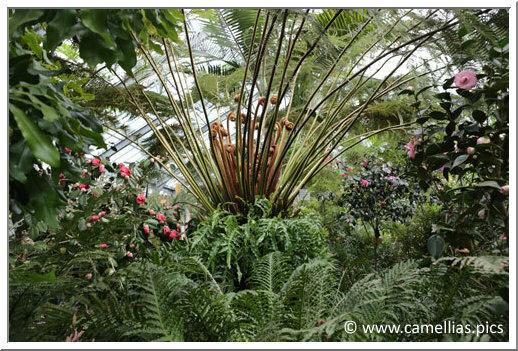 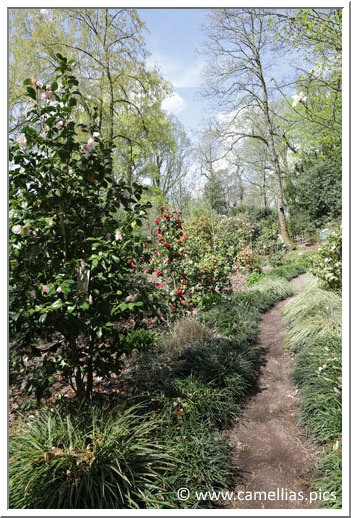 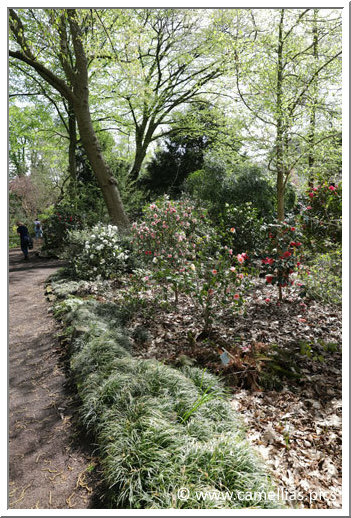 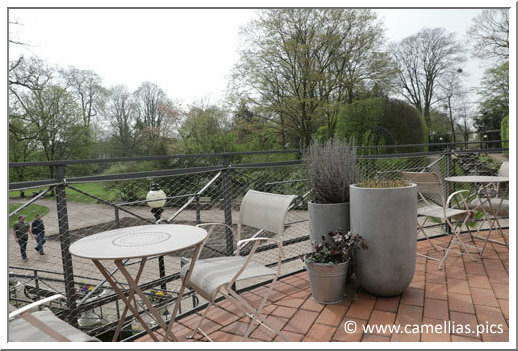 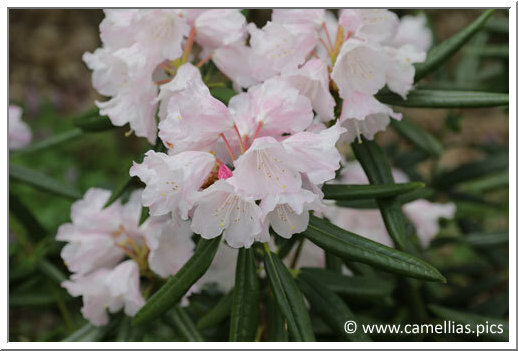 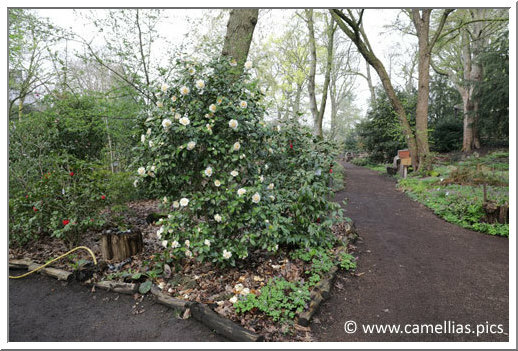 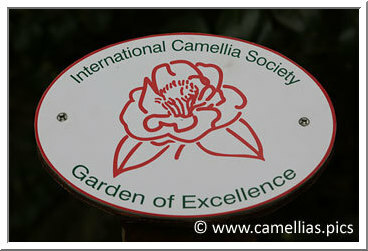 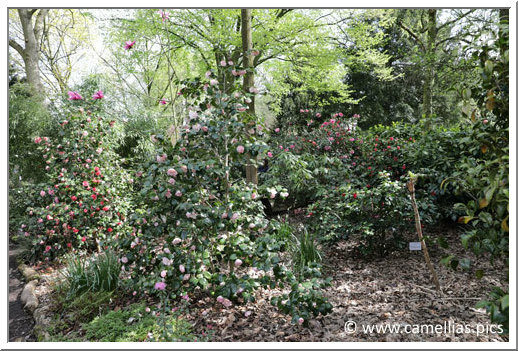 In May 2012, the ICS certified the Botanischer Garten as one of the 30 "International Camellia Garden of Excellence". 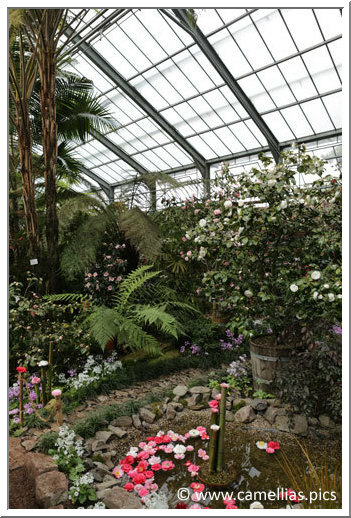 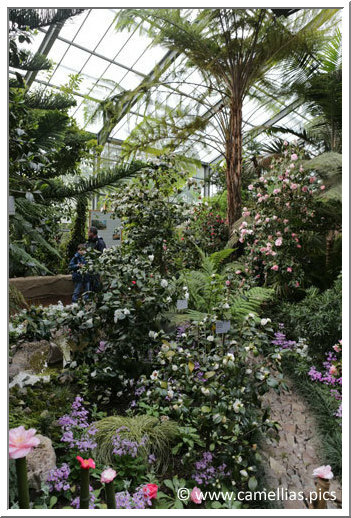 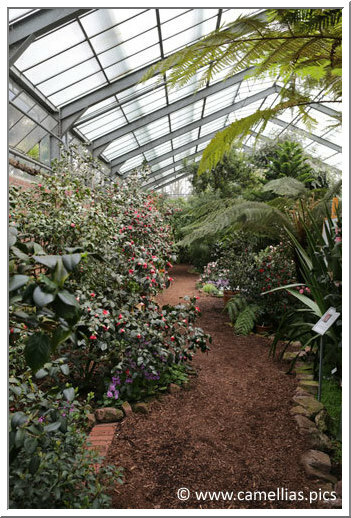 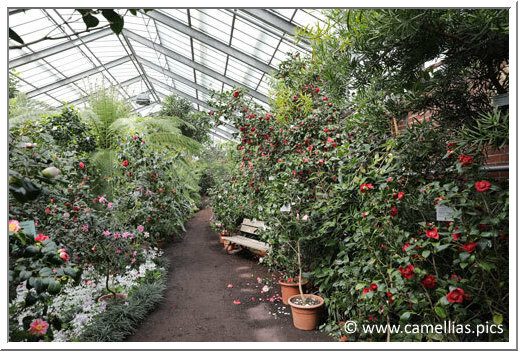 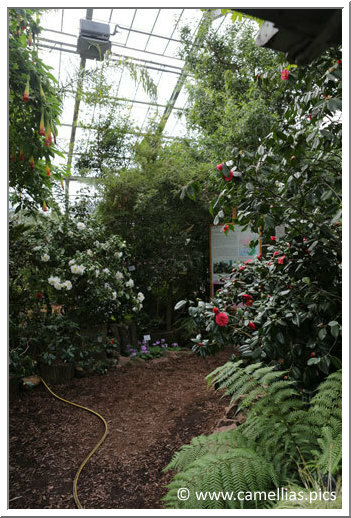 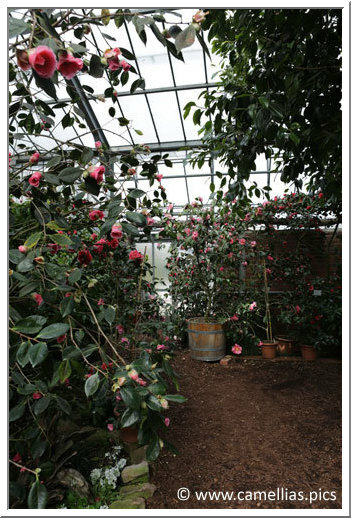 Inside the greenhouse, you walk through a forest of camellias. 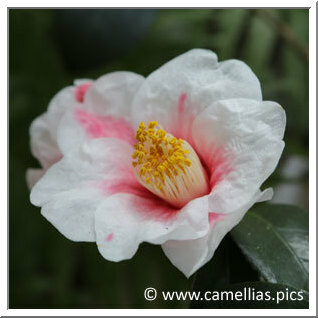 A yellow camellias in the collection. 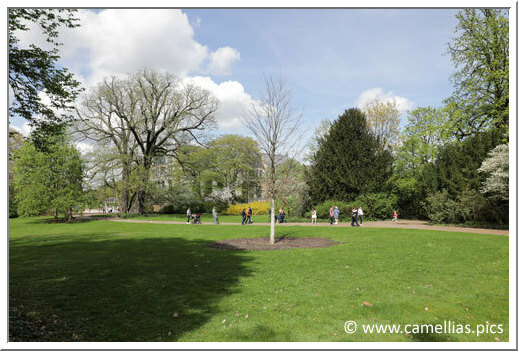 It is rare to see so many in one place. 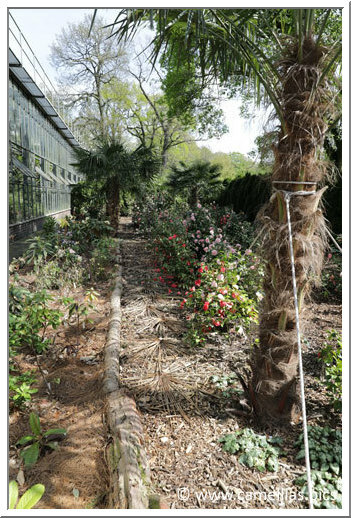 Below, some Reticulata of the collection. 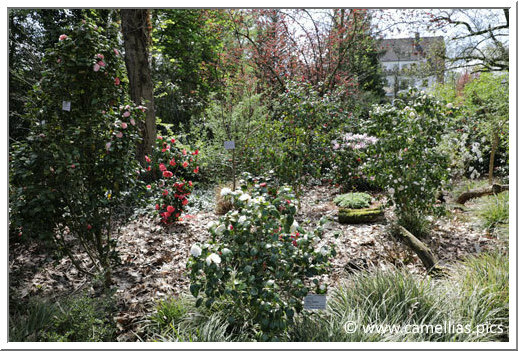 A part of the collection, in ground, can be found outside the exposition.